Our Custom Remount Sale is happeninging now! 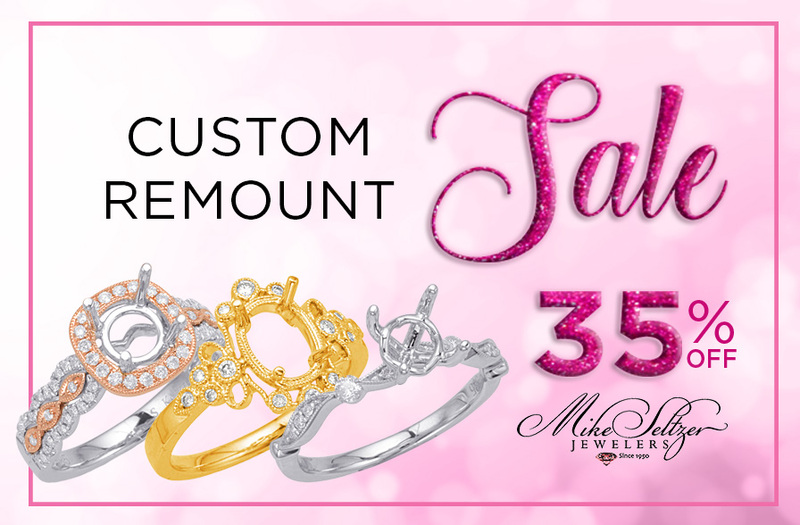 Save 35% off when you remount your diamond! Don’t miss this opportunity to take your old diamonds and give them a new look!